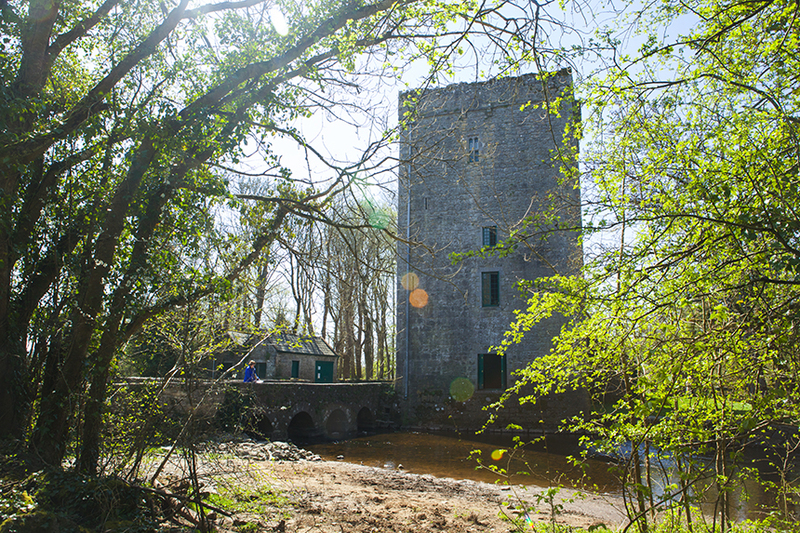 For an experience like no other come to WB Yeats’s hallowed tower at Thoor Ballylee, Galway. Come and visit the Hiberno-Norman tower, with its fourteenth century stones and intimate living spaces so closely associated with the poet WB Yeats. Walk the narrow bridge and crossing stones, admire the gardens and river, view Yeats’s pear trees, one ‘broken by a storm’ as in his poem ‘Meditations in Time of Civil War’, and now, once again, enter into the sacred ground of tower and cottage. There you can climb the famous winding stair, stride the battlements and view the countryside, experience our immersive exhibitions exploring the poet’s art, his connection with the west, and his life and loves, attend our cultural events programme, shop for books and momentos, and take a cup of tea by our roaring fire. For more on the tower’s history, click here. Every year the tower is open between Spring and Autumn; occasionally, too, earlier and later, or at other times for special events. Due to weather conditions the interior of Thoor Ballylee is closed for the winter months, although the tower, bridge, river, grounds, and garden are still a moving place of pilgrimage to visit. You can walk up the stream to the old mill, picture Yeats’s wife George fishing from the tower windows, and of course use our year-round car park & facilities. In Summer 2015 thanks to our volunteers and supporters Thoor Ballylee was opened for the first time in many years between June and September. For Yeats’s 151st birthday in June 2016 our new Yeats Thoor Ballylee Exhibition was opened by the actress Sabina Coyle Higgins. In 2017 Thoor Ballylee reopened with its wonderful exhibitions and full programme of cultural events throughout the summer, and 2018 was packed full of even more. The 2019 season kicks off on Saturday 20th April, and features the opening of our new studio space 3pm Sunday 28th April. Come along anytime all summer to find out what Yeats’s tower has to offer! We are a non-profit organization staffed by volunteers. To find out more about how to help keep the tower open view here. The 2019 opening hours for Thoor Ballylee appear below. Check out our blog and associated pages for more details of special events. Admission €7 (with concessions available). Groups €5 per person (minimum 10 people). Cups of tea, tour, and hearty welcome all included. 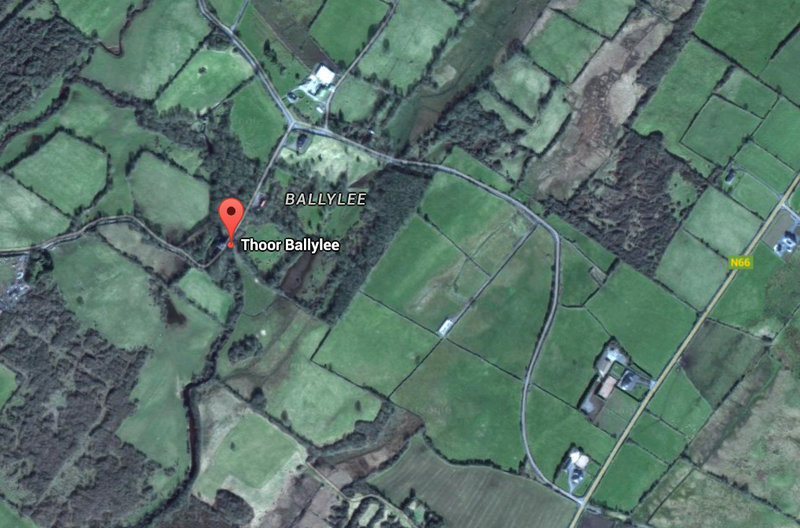 We are located less than an hour’s drive south from Galway city. We are very close to Coole Park, a good place to stop for lunch, and not far from Gort, between the N18 and N66 in south County Galway, Ireland. With easy parking just up the road from the tower, you can also visit other nearby sites associated with Yeats and Lady Gregory on the Yeats and Lady Augusta Gregory trail. Find us on the NUI Galway Landed Estates database which features a brief history, map, & OS co-ordinates. As a community-based local organization, we need your support to keep the tower open. See how you can help here. We look forward to visiting. Looking forward to visiting soon!